PUERTO PRINCESA, -- With the arrival of the South Korean-made F/A-50 "Fighting Eagle" by the last quarter of this year, the Philippine Air Force (PAF) will be at last fielding aircraft with "electronic countermeasures" (ECM) capability. It is an electrical or electronic device designed to trick or deceive radar, sonar or other detection systems, like infrared or lasers. ECM may be used both offensively and defensively to deny targeting information to an enemy. Col. Enrico Canaya, PAF spokesperson, said this will allow F/A-50 pilots to determine whether they are being targeted by hostile fire control radars. With the "Fighting Eagle" having this capability, he added that pilots can evade or launch countermeasures that that can deceive or "spoof" enemy radars, thus ensuring their survival. The PAF earlier said relatively updated radar systems onboard, the soon-to-be commissioned F/A-50s is able to do autonomous air patrols without relying too much on ground based surveillance systems. 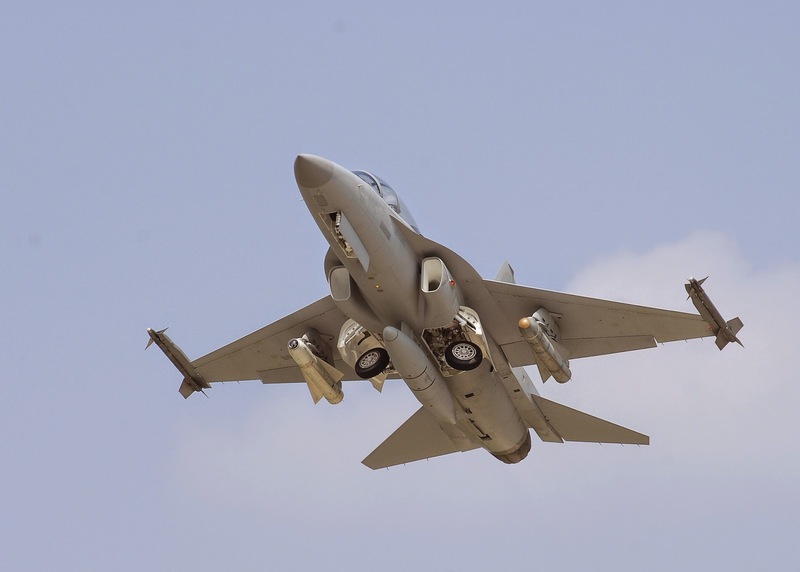 "(The F/A-50s) has its own onboard radar systems so it can detect (any hostile air threats) while on patrol," it added. The PAF declined to give the specifics of the F/A-50's radar systems for security reasons but stressed that it is quite adequate for air patrol work. Sources said this feature of the South Korean made jet fighter has greatly boosted the air defense capabilities of the PAF which was greatly reduced with the decommissioning of its Northrop F-5 "Tiger" jet fighter squadrons and Vought F-8 "Crusader" fleet, in 2005 and 1988, respectively. The DND earlier said that the radar systems onboard the F/A-50s is one of the many pluses why the Philippines opted to acquire 12 units of the Korea Aerospace Industries (KAI) made jet fighter over its many competitors. The South Korean Air Force KAI FA-50 Fighting Eagle supersonic advanced trainers and multirole light attack fighter aircraft.